Dog-Friendly - Hot TubThe five bedroom Snowflower Lodge is ideal for larger families or a group of friends. 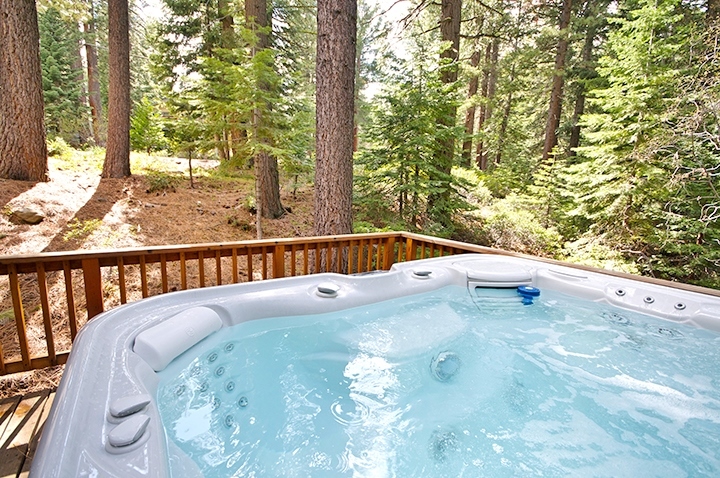 Located just minutes from Tahoe City, this dog-friendly property has a great mix of privacy and convenience and a great hot tub under the stars. In the warmer months you are located to prime accessibility of some of Tahoe’s best hiking and in the winter months, the mountain resorts are just a 15-20 minute drive. 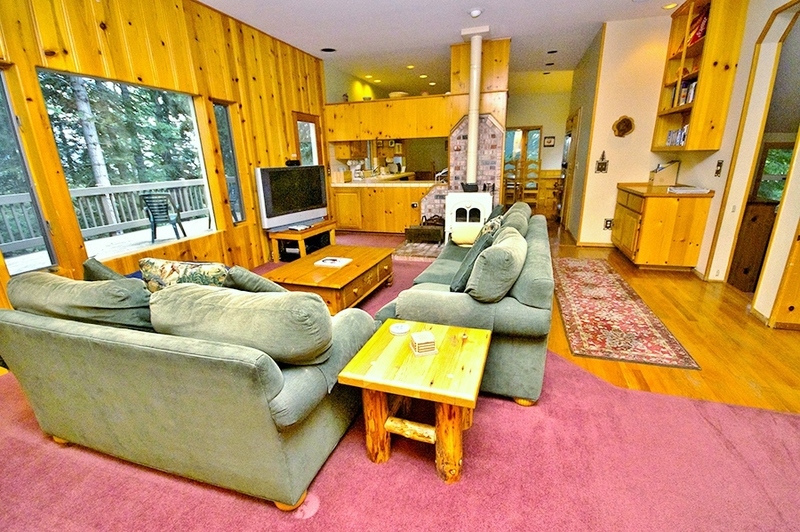 Snowflower Lodge is a magnificent North Lake Tahoe vacation home nestled on Tahoe's coveted West Shore on its own large secluded parcel. 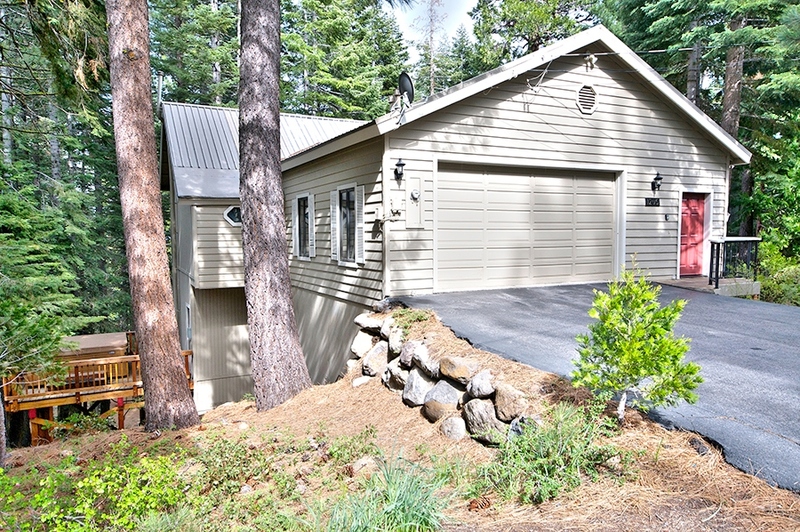 Offering views of glistening Lake Tahoe from a large private back deck, this North Shore vacation rental sits in an ideal location, just minutes from Tahoe City. 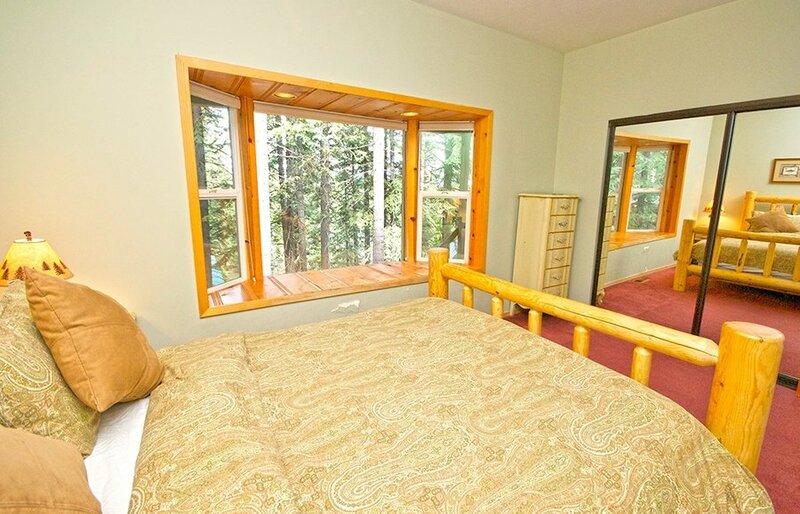 Situated amongst towering pines on multiple acres of undeveloped land, Snowflower Lodge allows for hiking, mountain biking, cross country skiing, snowshoeing, and snowmobiling minutes from the home. This vacation lodge is dog-friendly and its ample trails and wooded areas nearby will keep furry friends and their owners entertained for days. In the summer months, Snowflower Lodge is just a short drive or a bike ride from the West Shore lakefront, beach access, boat ramps, and kayak or boat rentals. For winter sports enthusiasts, Homewood Mountain Resort is less than ten minutes by car, and Alpine Meadows Ski Resort and Squaw Valley USA are approximately a 15-minute drive. 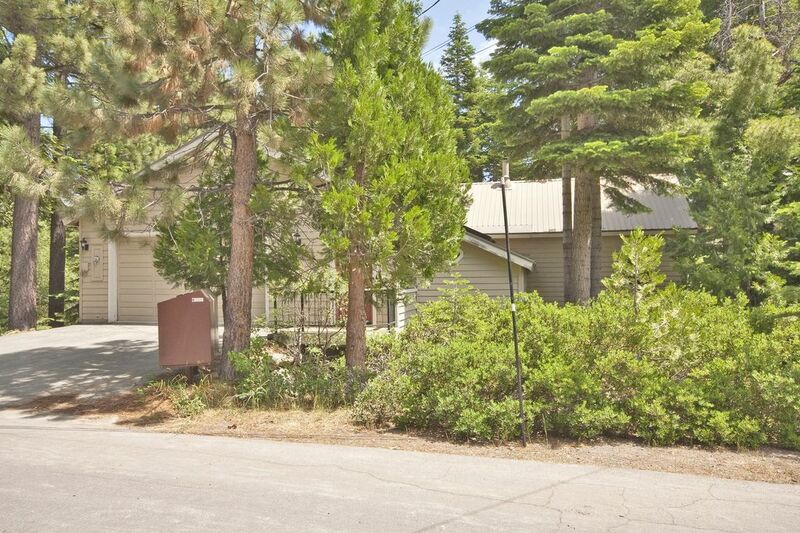 This North Tahoe home is minutes from many Lake Tahoe staples including Sunnyside Restaurant and Resort, Tahoe House Coffee Shop and Bakery, The High Sierra Water Ski School, and the Tahoe City bike path which runs for miles down the West Shore and all the way to Squaw Valley USA. Countless restaurant options, nightlife, entertainment, and shopping are all less than 3 miles away in Tahoe City. This large Lake Tahoe home is beautifully furnished to accommodate many guests, with its 5 bedrooms, 3 bathrooms, a den, and a game room. Snowflower Lodge includes a large two car garage and plenty of driveway parking as well. 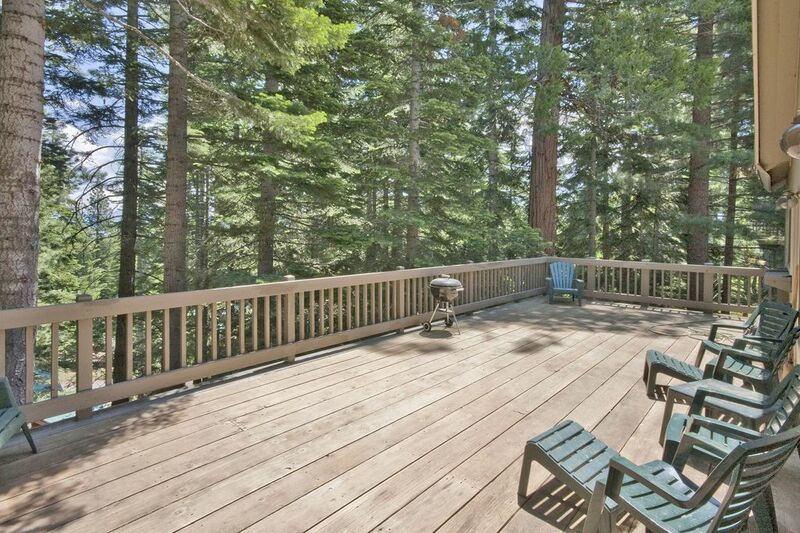 A large living room looks through expansive windows out onto the back deck and the surrounding Tahoe forest. 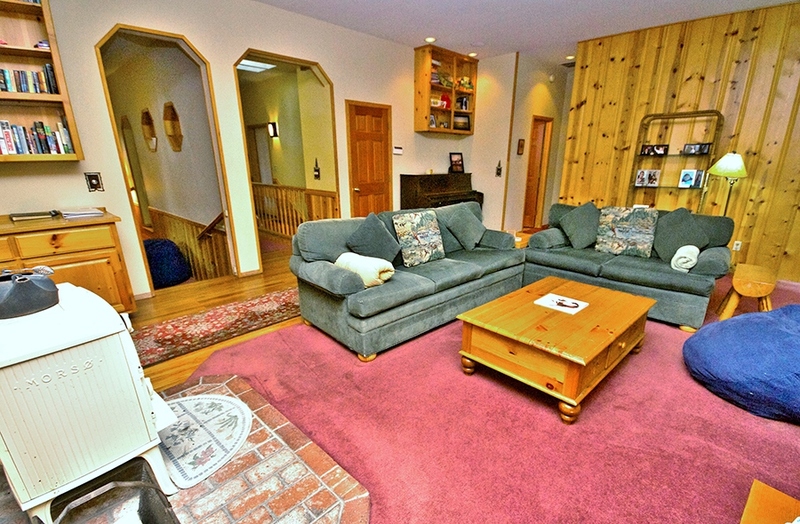 The living room offers a large comfortable sectional couch and 3 bean bag chairs ( fun for kids!). 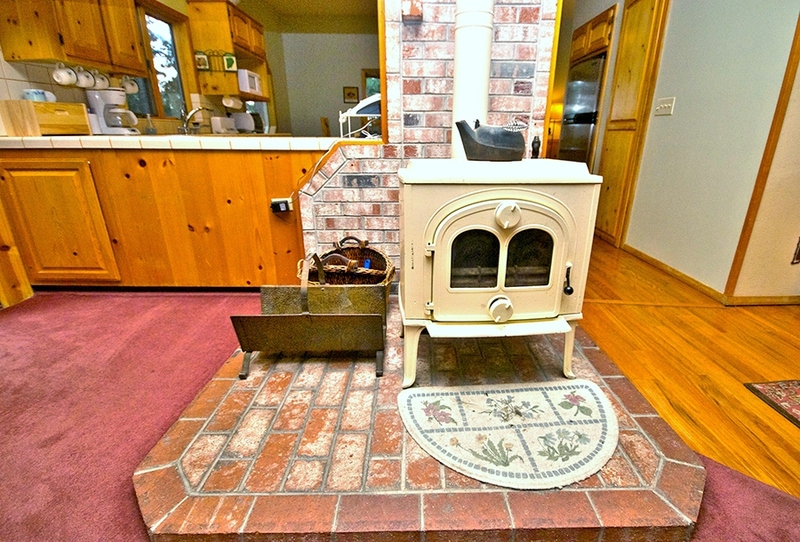 A flat-screen TV with satellite service and DVD capabilities will keep you entertained, or enjoy a cozy afternoon fire in the wood burning stove. High-speed cable internet access is available from the comfort of your living room as well. 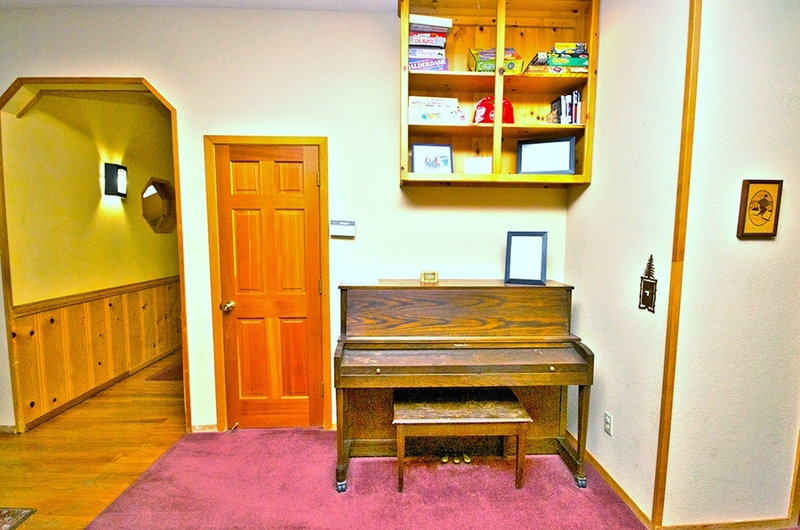 This vacation rental is also equipped with a game room area that includes a pool table and foosball. 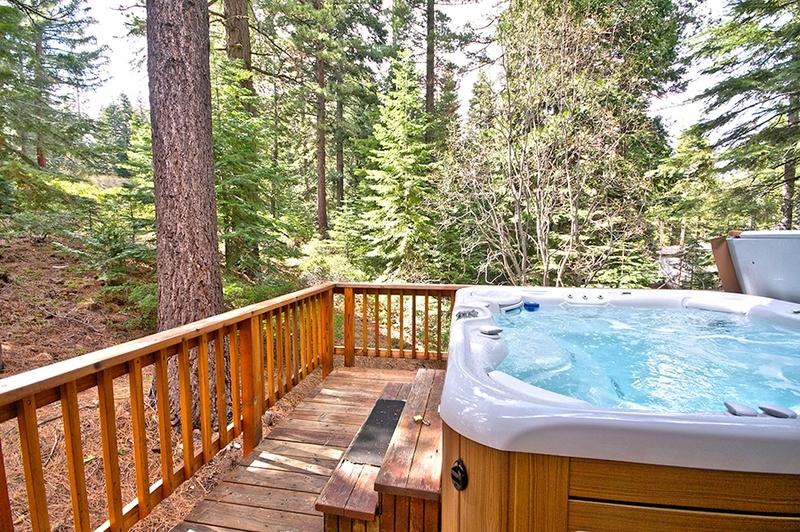 Downstairs you will find a secluded hot tub on its own private deck. 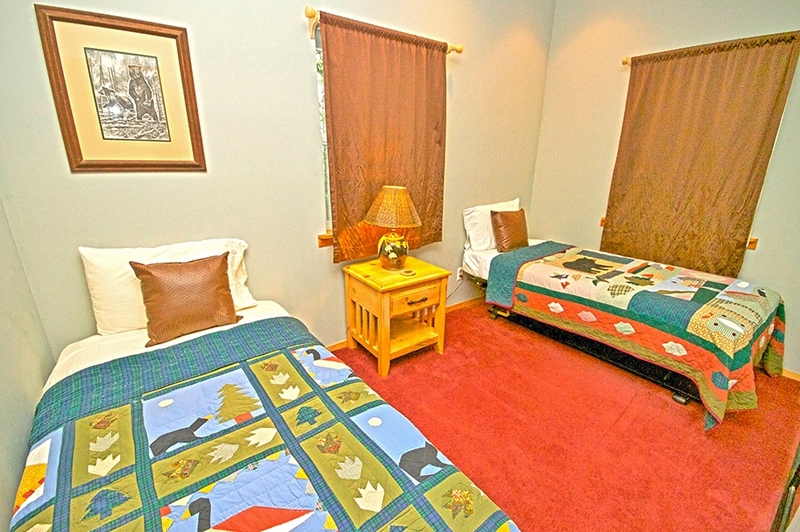 Accommodations include two master suites equipped with high-quality linens and furnishings. 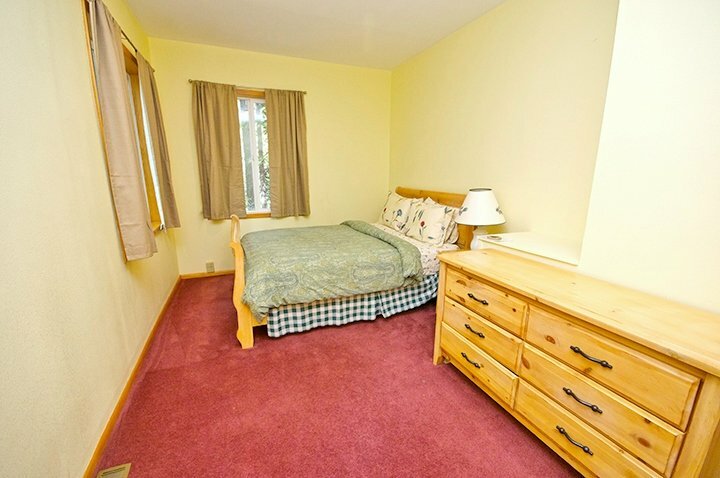 The master suite upstairs includes a king bed, beautiful master bath, and a large walk-in closet. 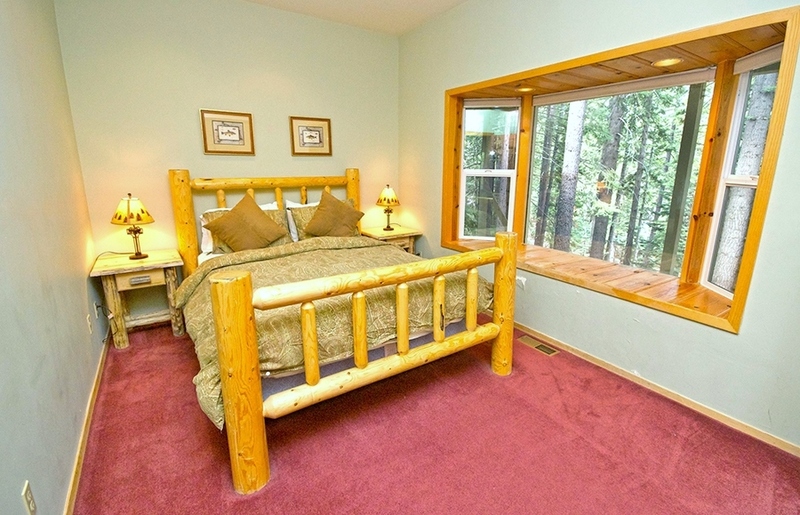 A private master suite downstairs offers a queen bed, direct access to a small private deck with hot tub, and views of the surrounding forest. A large kitchen upstairs is beautifully laid out around a central island beyond which sits a sunny dining area. 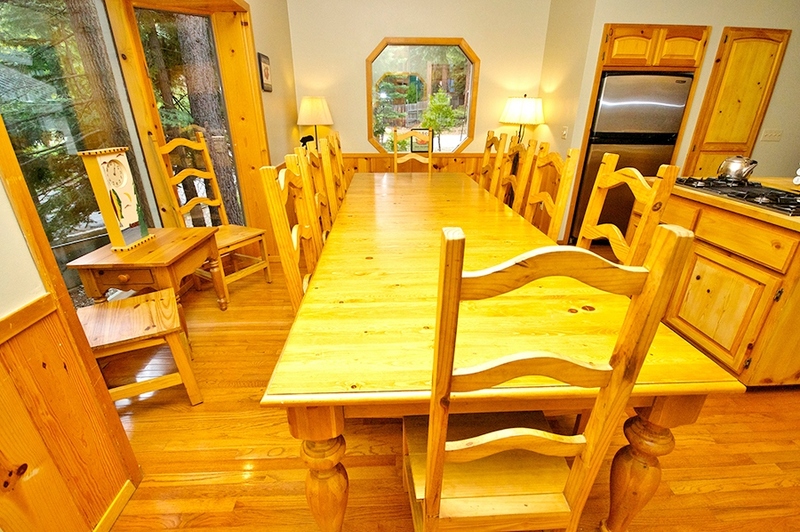 The dining room table will seat 8 comfortably, with extra room for smaller children if necessary. The kitchen is well equipped to prepare meals for large families or groups and offers new appliances and a walk-in pantry. I really enjoyed my birthday weekend at this property. The accommodations were nice, although the house was a little run down. The owners had lots of games and a fully stocked kitchen with all the cookware and tools needed to prepare food for many people. I slept in the master bedroom and slept great. The hot tub was clean and new and worked great. We had an amazing stay here for Thanksgiving. The location of the house is great. 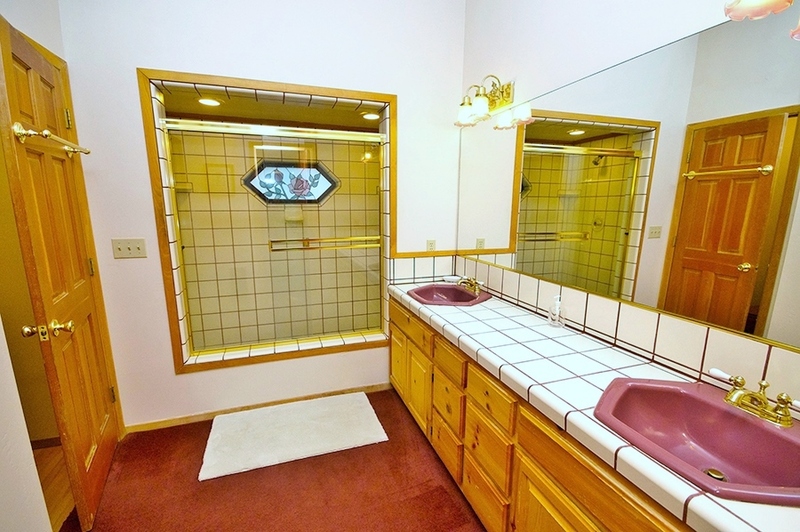 Easily accessible from the freeway, close to the stores and the ski resorts. 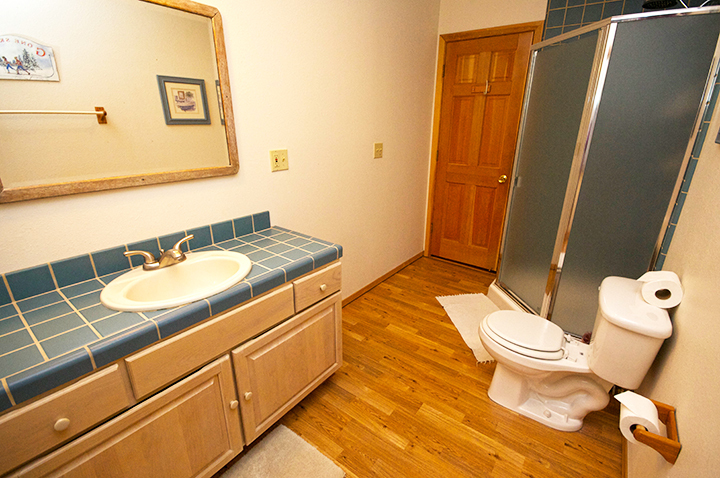 The house has plenty of room and well equipped. We will definitely come back! This was a very spacious cabin that easily accommodated our family. There were plenty of activities provided that kept everyone busy when not out hiking. We loved sitting out on the deck in the mornings and the evenings. We also loved the hot tub in the open air. The rooms were very comfortable and the views from the rooms amazing. 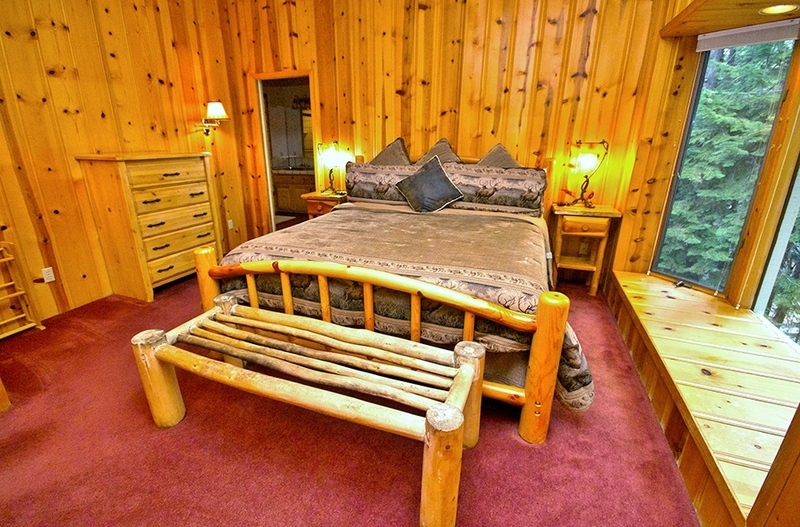 We would definitely recommend this cabin and hope to return again sometime soon. 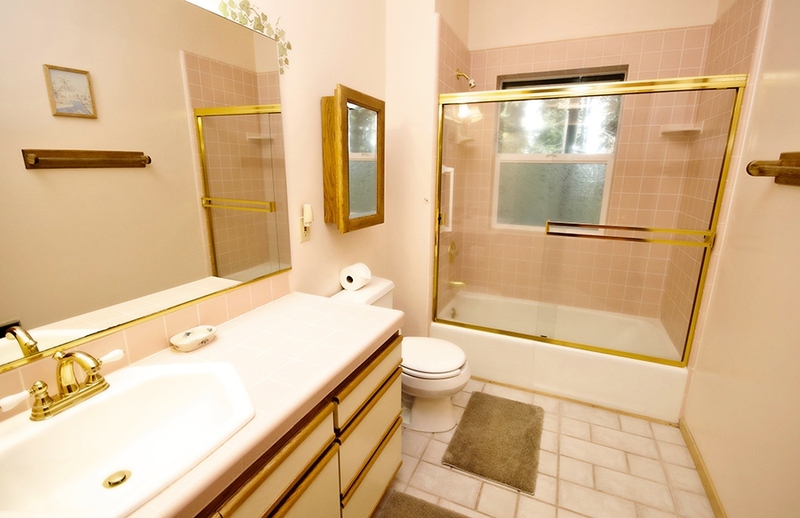 The house was great, more open and spacious than the pics can show. It could use some little upkeep, but all in all pretty good. The location was great, right by a nice pebbly beach that wasn't ever very crowded. The hot tub was awesome too, very nice and clean. It had one issue, but upon calling the owners it was fixed immediately the next morning. The house was so much bigger than I expected. It was a great place and location. We stayed over New Year's Eve and had a wonderful experience. The super long kitchen table hosted all of our meals and our group was comfortable and the house was clean. 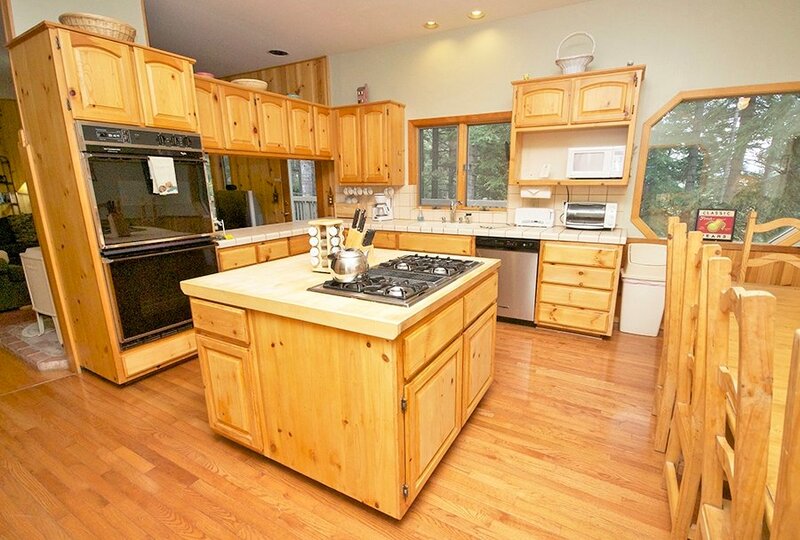 The kitchen was easy to cook in and the way the house is situated you feel as is you are surrounded by the forest. Beds and multiple rooms were very comfortable. There were a few issues:-kitchen desperately needs a big pot for soup and pasta. I even went out to try to buy one but did not have luck.-the hot tub entrance was iced over and very slippery and dangerous. We would have used the hot tub more if it had not been for that issue.-the TVs need to be updated. The one in the game room did not work which was unfortunate because half of our group was teenagers who could have played video games there. The TV in the family room was OK but there is not enough seating for everyone to watch. There is enough room in that area but you need more seating.Other than those three issues we loved the house and will definitely return and rent again.